If there’s a common thread that runs through my favorite games of 2013, it’s that the traditional “console gaming” experience just didn’t cut it for me in 2013: a full half of my list is made up of portable games and two of the others are, at this time, available only on a PC. There’s only one console exclusive, no next-gen games, and not a single Xbox or Wii U game to be found. Based on this, I’m left to conclude that my favorite releases of 2014 will only be playable on a Texas Instruments graphing calculator or, God forbid, the OUYA. My heart swells every time I think back upon my time with Gone Home: with zero on-screen characters, developers The Fullbright Company somehow managed to create an exploration-based game about music, family, youth, and perhaps most surprisingly, love. It all worked, too, in a way that these themes almost never work in video games. I was moved by how real the Greenbriar family felt to me as I wandered around their home; in a lot of ways, they reminded me of my family. Gone Home is, to me, an accomplishment simply because of how rare and intimate that kind of experience still is in gaming. The folks at Xbox Live usually horde some of their best downloadable titles for their Summer of Arcade campaign. The headliner of 2012’s line-up for me was easily Deadlight, a 2D puzzle-platformer from Spanish developer Tequilaworks. Combining a visual style heavily influenced by LIMBO and gameplay elements reminiscent of Shadow Complex, you play as a survivor of the zombie apocalypse trying to navigate your way through the decimated remains of Seattle. Filled with challenging environmental puzzles and intense “run or die” moments, Deadlight brought a fresh perspective to the zombie survival genre. What can be said about Journey that hasn’t been said already? It’s a game but it’s not. It features multiplayer but you can’t play it with your friends. It’s surprisingly moving, occasionally frightening, and very, very strange. Most importantly, Journey is an experiment in gaming that succeeds primarily because of the fearlessness of developer thatgamecompany. 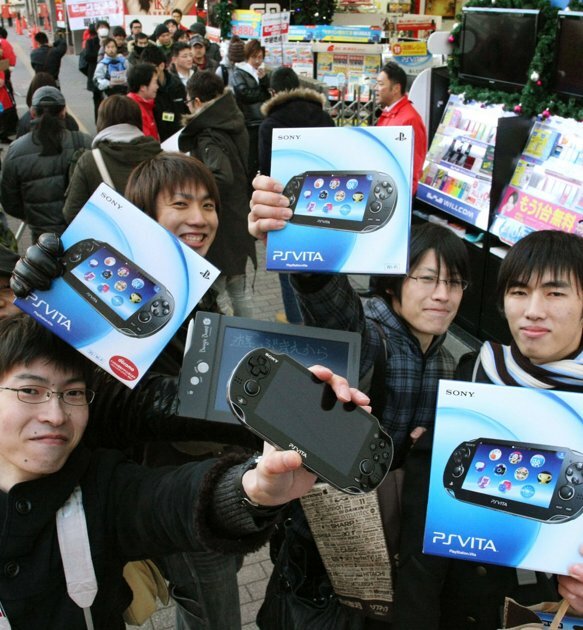 The jury’s still out on Sony’s Playstation Vita but most owners agree that its gaming line-up was a bit slight in early 2012. Mutant Blobs Attack was an early Vita release but it remains one of the most fun and original experiences on the system. You play as a one-eyed blob who rolls along absorbing pieces of the environment and growing in size until, eventually, terrorizing the populace and attracting the attention of the military. It’s one of the most laugh-out-loud funny games of the year, filled with 1950’s B-movie tropes and a roster of evolving powers that allow your blob to dominate Earth. Play More Games: My God, It’s Full of Stars! Continue readingPlay More Games: My God, It’s Full of Stars! With Star Wars Day, The Avengers movie, Cinco de Mayo, Free Comic Book Day and a superhero-themed episode of the Video Game Hangover podcast all intersecting this weekend, we suspect gamers and fanboys/girls around the world have no shortage of entertainment options to pass their time. Randy Dickinson (@randy_wrecked): Saturday is Cinco de Mayo! Who’s your favorite Hispanic superhero? Batmanuel is the only one I can think of. If you don’t know who that is, you should definitely add the live-action version of The Tick to your Netflix streaming queue for this weekend. When I’m not drinking Sangria and gorging myself on tofu tacos this weekend, I’ll most likely try to wrap up Catherine and spend some more time with The Witcher 2. Starhawk is out on Tuesday so I need to clear my gaming slate by then. Play More Games: Just Add Zombies! Someone decided it would be a good idea to add zombies to Sega’s Yakuza series of action-adventure games. Continue readingPlay More Games: Just Add Zombies! 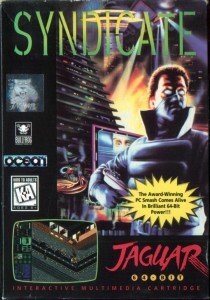 Having never played the original 1993 real-time strategy incarnation of Syndicate, I didn’t quite understand what all the hubbub was about when Swedish developers Starbreeze announced that they would be rebooting the series in 2012 as a first-person shooter. The trailers that I saw for the new game showed a fast-paced, sci-fi themed, cover-based shooter in which an augmented agent infiltrates competing organizations in a battle for corporate supremacy. While I saw hints of Deus Ex: Human Revolution on display, Syndicate loyalists saw…not Syndicate. Regardless of where you stand on that debate, the freshly realized version of Syndicate (PS3, 360, PC) is here today and, while it has abandoned its isometric roots, it seems to be garnering some positive notices (including a surprising 5-star review from the frequently cantankerous Jeff Gerstmann at Giant Bomb). The four of us here at VGH Industries posted our playthrough of the multiplayer co-op demo a few weeks back and found it to be inspired and fun. 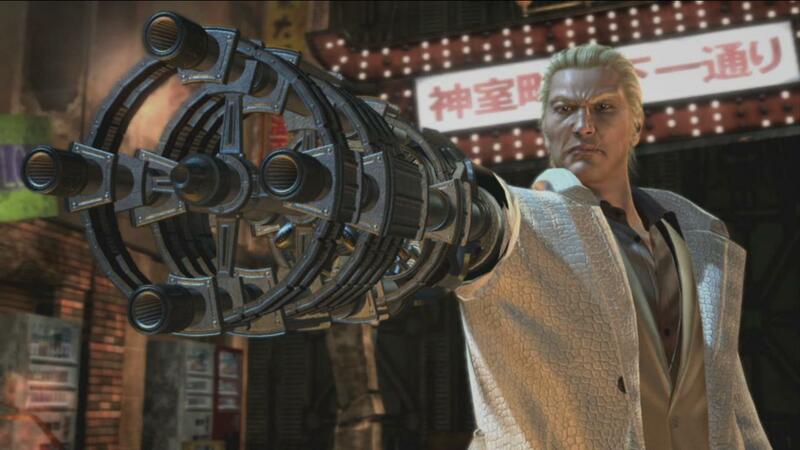 A game whose demo failed to resonate with the team, Asura’s Wrath (PS3, 360), is also out this week. This bizarro amalgam of elements from Dragon Ball Z, God of War and, strangely enough, Heavy Rain left us scratching our heads. Check out Episode 38 of the podcast for our color commentary on the title. Dozens of Japanese gamers can’t be wrong. While it didn’t exactly ignite a firestorm of sales upon release in Japan last December, Sony’s “next generation portable” is finally available in the States this week in the form of a $350 First Edition Bundle. The PlayStation Vita promises a closer-to-console experience in a handheld device with the graphical acuity, social hooks and obscenely expensive accessories that modern gamers (hopefully, for Sony’s sake) crave. The line-up of launch games is widely blamed for the Vita’s cool reception in Japan (i.e., “no Monster Hunter”) but the titles hitting store shelves this week certainly seem more in tune with the sensibilities of American gamers. As something of a Nathan Drake devotee, I’m curious to see how Uncharted: Golden Abyss survives the move to the Vita’s smaller screen — as well as the move to a new developer. The downloadable oddity Escape Plan has also piqued my interest with its exaggerated violence, monochrome visuals and controller-free play. Can the PlayStation Vita peacefully co-exist with a world of smartphones and tablets? Only time will tell. Expect much sideline commentary from the gaming blogs over the next couple of weeks as the death of portable gaming is greatly exaggerated. Here at Video Game Hangover, we’re just happy to have new games to play. Play More Games: Are You Afraid of the Darkness? Continue readingPlay More Games: Are You Afraid of the Darkness? Why 14? There were just so many games that I enjoyed in 2011 that the standard 10-item list couldn’t contain them all. I like the Gears series in a way that surprises even me sometimes. This installment brings some of the best new elements to Delta Squad’s seemingly never-ending war against the Locust, including refined shooting and cover systems, smarter enemies and a longer, more complex story line. 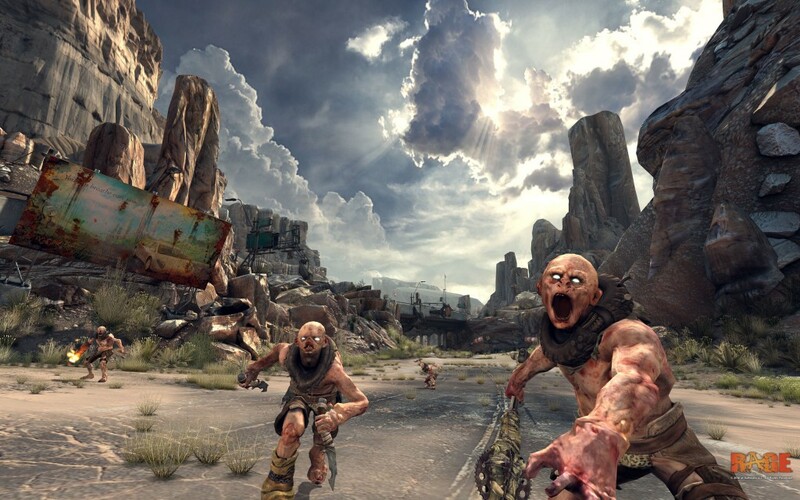 It’s easy to dismiss Gears of War for simply providing more meat for the meatheads (which it definitely does), but I’ve always felt that there’s way more going on here: Gears 3 has a sense of finality and depth that’s hard to find in most games, let alone one about hulking soldiers mowing down hordes of alien foes. We certainly did our fair share of complaining about L.A. Noire here at Video Game Hangover but it still stands out as one of my favorite gaming experiences of the year. The investigations and characters at the heart of the game are utterly unique, as is its 1940s Hollywood setting. Try to overlook the frustrating interrogations, strangely empty game world, or oddly-anticlimactic pacing and you’ll find something truly uncommon being attempted here. I can only hope that the inevitable L.A. Noire 2 addresses these foibles and delivers the game that this aspired to be. Preview: Where is my Heart? Pixies are a rock band, Alien is a horror movie, and Braid is just a puzzle-platformer. While all of those statements are technically accurate, true pop-culture connoisseurs know that what these three examples do is utterly unique within their respective genres. 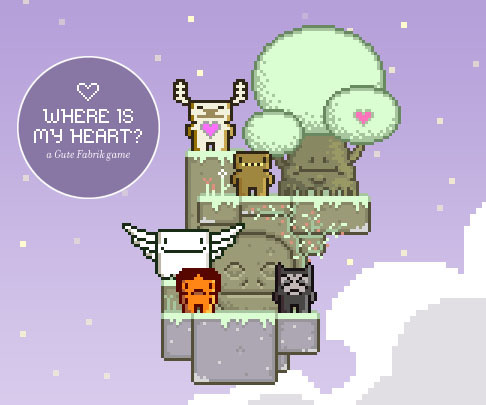 The same is true of Where is my Heart?, a new game from Danish indie developer Die Gute Fabrik. Continue readingPreview: Where is my Heart?